I have never tried anything from Kiehl's so far; it has always been one of those brands that I wanted to try "at some point of time". 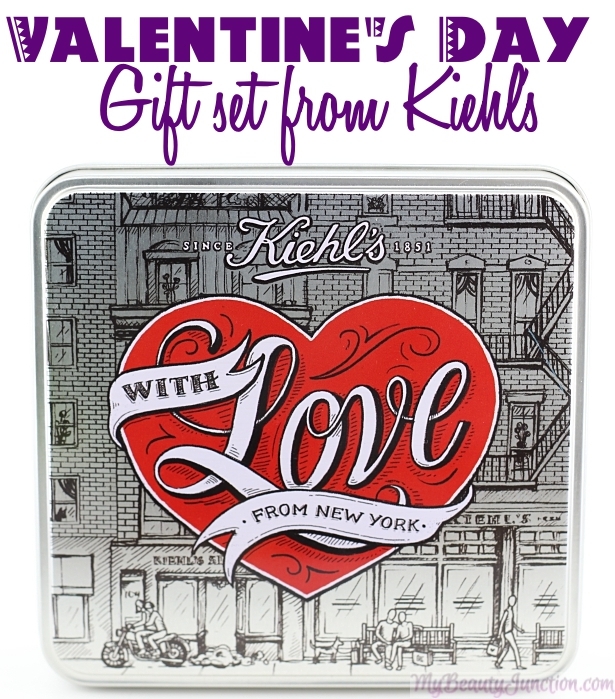 For Valentine's Day, Kiehl's is offering these super-cute tins that the SA can either fill up with complimentary samples, or you can choose the products you want to buy - and they will still include some samples! Read on to know what my Valentine's Day gifts were. Inside the tin, I found a face primer and an eye cream, products I always run out of. I also got samples of a hair elixir and face wash. Since I have been bemoaning my dark circles to everyone within a fifty-mile radius, the eye cream is a brightening one, and, at first glance, the primer seems silicon-y and mattifying. Well done, SO! I received a year's subscription to the LookFantastic Beauty Box! Squee! I didn't even know they were offering annual subscriptions; apparently it is a recent development. You can get three-, six- and twelve-month subscriptions here. The best part is that annual subscriptions will save you £45 and postage is free. Which means the money saved can be spent on a nice dinner at some point. You can preorder boxes all the way to 2016 here. Despite this lucky lack of repetition, I would rather not receive beauty-related gifts in future, as I am likely to end up with something I already have. What gifts do you want this Valentine's Day? Do you prefer receiving beauty gifts or something else? Tell me in the Disqus comment widget below.